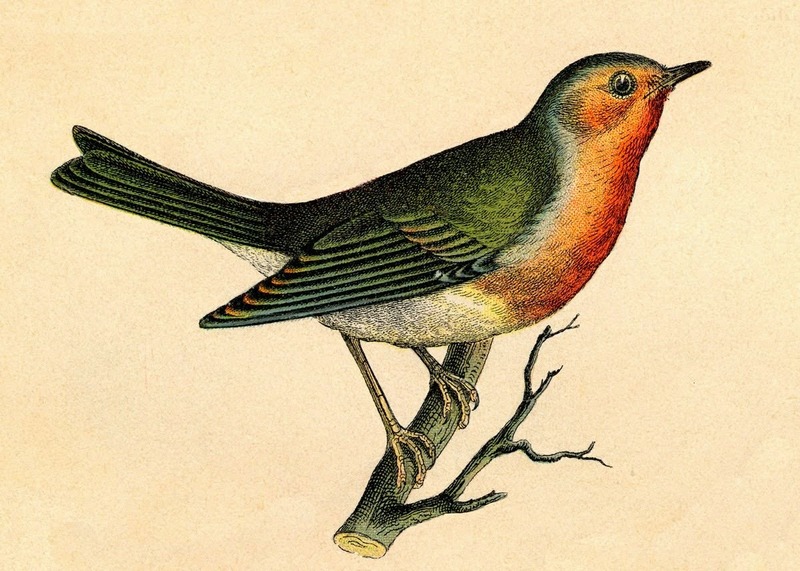 In antebellum America, it was not all that unusual to eat a robin. 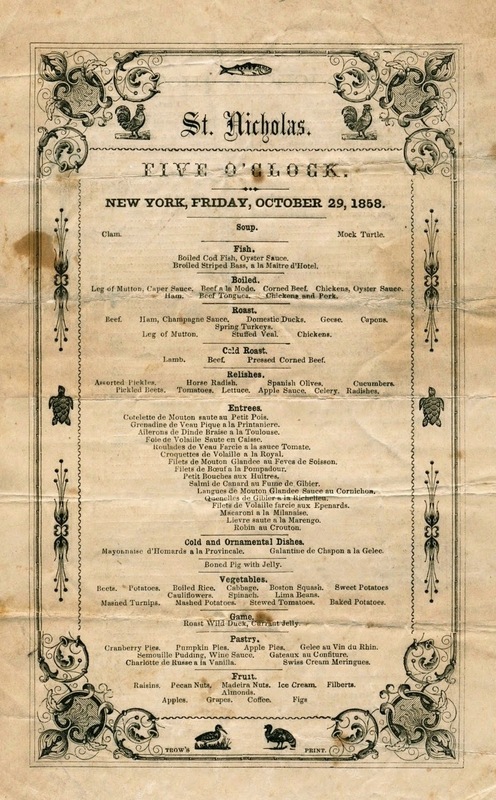 For example, on October 28, 1858, about a year after Thoreau made this entry in his journal, robin au crouton appears as one of the entrees on this dinner menu from the St. Nicholas Hotel in New York. The robins would have been roasted on a spit over a fire in much the same way as thrushes, or quail, were then prepared. In upper-class establishments, small birds were usually served on toast with maître d’hôtel butter, comprising butter, chopped parsley, salt, pepper, and lemon juice. 1. The Journal of Henry David Thoreau, 1837-1861, 20 October 1857. I am noticing the date printed on this fascinating menu. Was this St. Nicholas menu a special menu or was it customary for the St. Nicholas to have a daily menu? Was it unusual for restaurants in NYC at this time to have daily-changing menus? By the way, keep up the great blog.